cant say i’ve heard about this blend before. currently i am enjoying the Black bottle as a simple Islay sort of blend. and also teacher’s as a fine blend. if i see it around, i will give it a try. happy #whiskywednesday to you. what are u having today? I got a free Connemara peated Irish whiskey sample with my TWE order, so I tried that for #whiskywednesday. It’s completely different from any whisky I’ve tried. Very interesting nose and palate, but I’m not sold on the finish yet. Can you tell me any thing about it. I wish I could. White Horse is new to me, and I just happened to stumble upon this bottle at a local store. Your review is bang on! This is a great blended scotch that provides excellent bang for your buck. Great taste too! They do absolutely zero marketing, unlike Diaego for the Johnnie Walker line, and I think that has a lot to do with why this great blend is not well known in the mainstream press or with the casual scotch drinker. Thanks Jason! 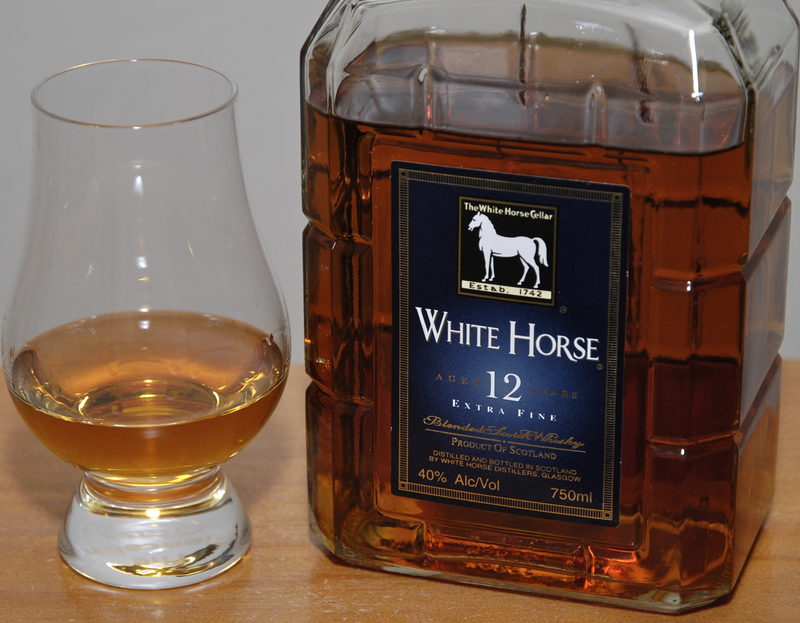 Is the White Horse 12 something you can find easily enough on the store shelves in Canada? I have five bottles of White Horse Extra Fine which I bought from a nearby grocery store around my area. The unusual bottle attracted me but after I tasted it, I went back to buy the rest. Seems that there’s not too many of them around. I live in Los Angeles and scoured the more popular spirits stores in he area but the don’t carry the particular item. 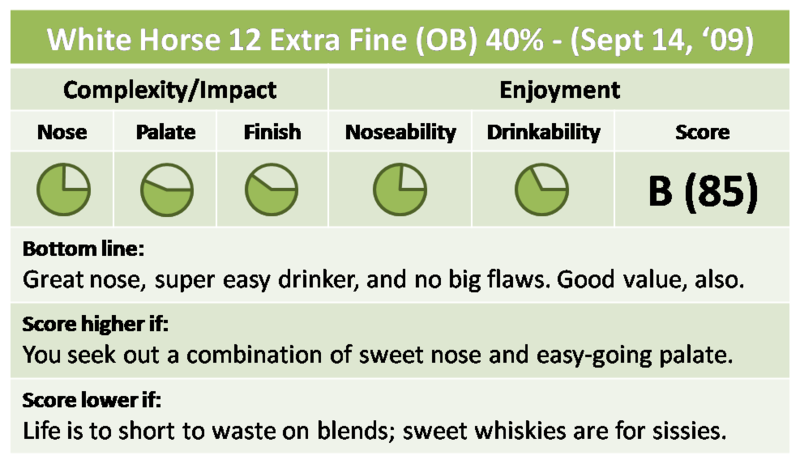 Hi, many thanks for this notes… Here in Brazil this blend is sold as “Whisky Logan 12” and is very easy to be found (costs around U$ 50,00)! I apreciate those Islay spirits and will give this one a try! Very interesting note on the different whisky name. Thanks for that info! I hope you like it…let me know what you think!